Lion Kembra L. Smith lives in Decatur, Georgia (“GA”). She is an attorney in private practice, specializing in immigration law. Kembra joined the North Decatur Lions Club in July 1997, after being recruited while she was serving as the president of the parent-teacher association at the school where the Club was founded and provided service for over 50 years. Kembra has served as club president, secretary, treasurer, and on many club committees. She received the Club’s Lion of the Year and 100% President. Since 2013, she has served as CGL for the Atlanta Peachtree (GA) Lions Club. Her family is involved in Lions: her husband, William (“Bill”) Lowe is a member of the Walhalla (South Carolina [“SC”]) Lions Club; her daughter, Kembra K. Landry, is a member of the North Decatur Lions Club, and a Certified Guiding Lion (“CGL”) for the North Decatur Lions Club’s branch Club: the Chamblee-Lighthouse Lions Club. Her parents are charter members of the Due West (SC) Lions Club and her brother-in-law is a past president of the Moncks Corner (SC) Lions Club. Kembra was elected to serve as one of the thirty-four International Directors of Lions Clubs International on July 8, 2014, and will serve in that capacity until June 30, 2016. On the LCI Board, she serves on the Constitution and Bylaws Committee (“C&BL”). She previously served Multiple District (“MD”) 18 as the Global Leadership Team (“GLT”) Coordinator in 2011-14, and as faculty for classes for 18-F and -I, MD 18, the Vice-District Governors (“VDGs”), Southeast Lions Leadership Institute (“SELLI”), Lions Leadership Institute of the South (“LLIS”), Faculty Development Institute (“FDI”), and Dynamic Club Retreat. 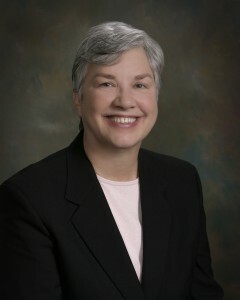 She is the Immediate Past-Chair of the Georgia Lions Lighthouse Foundation’s board of directors, immediate past legal counsel for the Georgia Lions Camp for the Blind, and immediate Past-President of the MD 18 Past District Governor’s Association (“PDG”). She is a Past Council Chair, past Chair of the MD 18 C&BL Committee, and served MD 18-F as district governor (“DG”), VDG, region and zone chair, PDG association president, and on numerous 18-F and MD 18 committees. She has received two International President’s Award and a Certificate of Appreciation, the MD 18 Ervin-Crumley Award, 100% region and zone chair awards, DG appreciation certificates for her work as leadership, region, and zone chairs, club president, and club secretary, and Golden Chain awards. She is a progressive Melvin Jones Fellow, and a member of the 18-I Hall of Fame. Kembra graduated from the 2012 Lions Clubs International FDI and the 2006 SELLI. She attended the 2006, 2009, 2011, 2012, 2013, and 2014 USA-Canada Lions Leadership Forums and the 2007-09, 2011, 2012, and 2014 International Conventions. In addition to her Lions’ activities, Kembra is a member of the American Bar, American Immigration Lawyers, Georgia, Atlanta, and Federal Bar Associations, and other civic organizations. Besides her daughter, Kembra has a former stepdaughter, a stepson, and a step-grandson in Texas. Kembra and Bill also own a home in Mountain Rest, SC, where they participate with Keep Oconee Beautiful Association by picking up trash along Kembra’s adopted roadway.